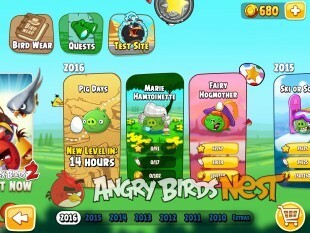 Angry Birds Seasons Marie Hamtoinette Update Now Available! Angry Birds Seasons is celebrating the Spring Season with a brand new episode called “Marie Hamtoinette”. The episode includes 18 new levels inspired by his majesty, Ludpig XIV. Angry Birds Seasons Marie Hamtoinette (v6.0.1) is now available for iOS and Android via Google Play and the Amazon Appstore. 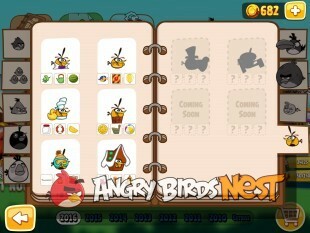 18 new levels, spring themed including 6 bonus levels! Our walkthroughs are live! More Pig Days levels! The next one is set to be released tomorrow! New “Last Chance” option: Ran out of birds? 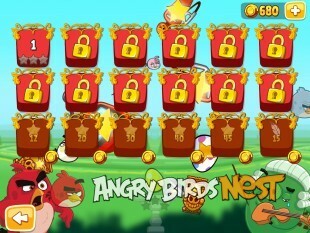 You can add three Red birds for another chance to pass the level. They will cost you 90 Golden coins though. The leaderboards is live!. Remember that scores obtained with Power Ups are not permitted on our leaderboards. 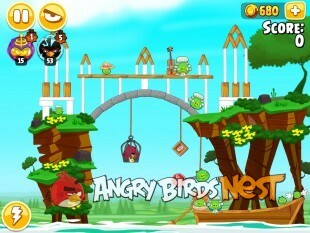 Nav: Home »News » Angry Birds News & Updates » Angry Birds Seasons Marie Hamtoinette Update Now Available! Oh god. Why are they putting the movie deigns in all their apps? Oh no, maybe Rio and the original AB are next. Does anyone know the stage that contains the “hidden golden egg”? ….have 3 starred and feathered all stages but that elusive hidden egg is proving a little hard to find. DOH! @chucky-2 Strange. 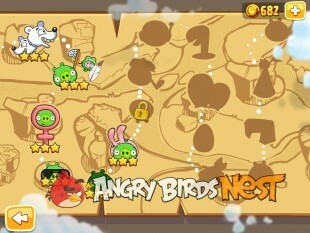 For me the Golden Egg appeared when I 3-starred the first 17 levels. He doesn’t speak about the golden egg for 3 starring all levels, but about an other hidden golden egg. @grimmjow That’s what I’m saying. When I 3-starred the first 17 levels, not only the Big Fountain was unlocked, but the Golden Egg too. Oh yes, I had not understood that the golden egg above the big fountain was the additional level. What was the condition to unlock it ? @grimmjow In my case, 3-starring the first 17 levels. Maybe the game is designed to unlock Golden Eggs if you don’t find them before 3-starring everything. I did receive the golden egg for 3 starring objects, but they speak of a hidden golden egg as well. Now here is where it gets a little confusing. So you have the Golden Egg from the 3 Stars, but on Level 8 where there is another Golden Egg, it opens the exact same 3 star golden egg level???? Basically like @ixan57 mentions, it is Level 8, and it is on the Right, but more specifically, it is the last row of grass/weeds on the top right, 2nd grass/weed from the top (If that is too confusing, I can take a screen grab of the area)……But it literally uses the exact same stage from 3 starring all of the levels. I don’t know if it applies to this game, but sometimes you’ll find a hidden golden egg in the end credits, just scroll down ’til you find it then click on it. Ok when you three star.every level you can complete the golden egg… Under the golden egg there is a “bird bath” click on that and you will find the “hidden level”!!! @M this is not a hidden level. In fact it’s the big bath (bonus) level, available when you three stars all levels on this episode. And there is the same thing for all episode in AB seasons. 1) Did anybody find the hidden golden egg ? 2) Concerning wears, I applied the same technique as usually : move forward the clock. Only, having finished the quests for last wear of Hal and Bubble, I had any more no quest. And I have a lot to move forward in time. I thus have the last wear of Red, Bomb, Matilda and Terence, without being able to have their quest. 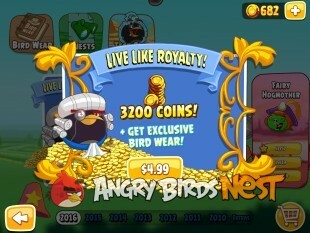 Bug or intention of Rovio aiming at us to prevent from obtaining quickly wears ? Was anybody able to have the quest for the last wear of one of these 4 birds ? I haven’t started playing it yet. Will do later. @grimmjow — I did find the hidden golden egg in a level (don’t remember which one), but it appeared without my knowing where it was hidden. Sorry. And what about wears ? Do you get quest of other wear ? @grimmjow — I don’t pay any attention to bird wear, so haven’t noticed. There’s a small brown shelf suspended in the air up there. In the iPad version, you can pull the whole screen down just a little and it becomes visible. The Golden Egg is obtainable that way unless you 3-star all the levels and earn it that way. I cannot get the fountain, or find the walkthroughs for the bonus levels.. Have found the hidden egg in level 8 and 3 starred all levels. do anyone give a special attention to bird wear? i don’t give it any.. Concerning wears, I applied the same technique as usually : move forward the clock. Only, having finished the quests for last wear of Hal and Bubble, I had any more no quest. And I have a lot to move forward in time. I thus have the last wear of Red, Bomb, Matilda and Terence, without being able to have their quest. This update is actually pretty nice, I mean yes, they did kind of use the AB Movie designs to advertise it but its not a bad update (like the one in February). This one was easier to 3 star (only took a few hours after I updated the game) and there were less levels, now you may think that I want less of a challenge but really, I just want to waste less of my powerups, I mean yes, I could just watch a walkthrough but it would be a bit of a waste of time but overall, its a great update! Bird wear seems either bugged or only available through purchase. About the new bird wear: it’s not bugged. There are four unique special bird wears which you cannot get by collecting items. Look at the playceholder: there is no question mark for the 3 hidden items. I got the bird wear without collecting 3 items. But I honestly don’t know how what to do in order to get these special bird wear. 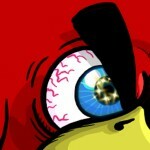 Anybody whats to ask Rovio? @grimmjow: How exactly did you get Bomb’s wear? I didn’t get Bomb’s wear, like Terence’s wear. Bomb’s wear was an offer there is a few weeks, no for Birds Coins but for real money (1,99 € or 4,99 €, I don’t remember sorry). @grimmjow: So if you missed it, you cannot get it any more? I don’t know, but yet there is any way to get this wears. hi guys @grimmjow @chriss . state of play have got terrence (big red bird) it got loch ness wear.when loch ness day went live,on the season episodes page to extreme left was offer 30% off bird wear for this either 650 or 670 coins. if you look at bird wear silhouette for wee red,black bomb and matilda. think these will be offered the same when levels open. now the thet big question :anybody know what the bird wear is for.rovio dont just put these thing there without a reason.something future? I missed it so I wonder if there will be a second offer. 3 days ago a new bird wear wasavailable for me.